Football is the game which can not only be played on a field but even in a room, you just need passion to play football and I guess each one has it because almost everyone loves football. EA Canada has realized that passion and craze coming up with a game which the all the PS3, Xbox 360, Wii and PSP players will await while holding breaths and excitement. 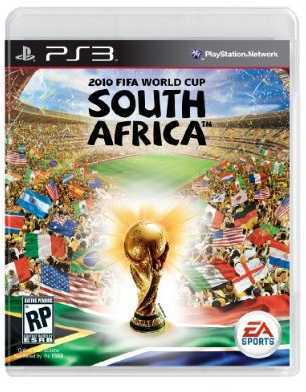 This “2010 FIFA World Cup” which is going to be one of the biggest sporting games releasing this year. 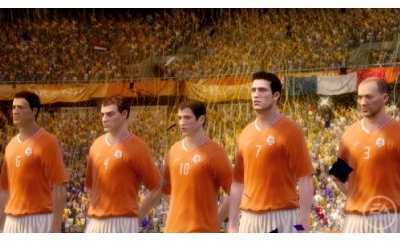 Being announced on January 26, 2010 during a Game Spot interview with Simon Humber, he has assured that it’s graphics and the game play will just rock every gamer. As this year, FIFA World Cup will be held at South Africa, the designers have kept that in mind and designed all the stadium venues of South Africa i.e. making 10 official World Cup Stadiums available for playing. The game will contain 199 teams which include all the biggies like France, Argentina, Brazil, and Britain etc. to smallish like Libya, Madagascar, Algeria etc. 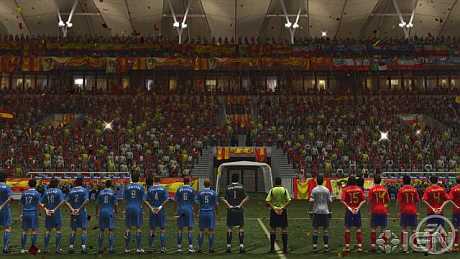 EA has also assured that FIFA 10’s game play has been vastly improved like higher rate of player fatigue for matches at higher altitudes giving an advantage to a home team. Its various game play modes like “Captain your Country” and Penalty Shootout etc will increase the excitement of the gamers. Over all it’s going to rock with its awesome features and I guess none of the gamers will be able to resist it. You can pre-book the game with a price tag of $56.99 which will be released in 27th April 2010. Even you can see a trailer to get an idea. Even you can see some such more PS3 games like Ghost Recon Future Soldier and Grand Theft Auto, which really attract you. ;*~ I am very thankful to this topic because it really gives up to date information ,`. You can definitely see your skills within the paintings you write. The arena hopes for more passionate writers such as you who are not afraid to say how they believe. Always follow your heart. I am not significantly into reading, but somehow I got to read plenty of articles on your weblog. Its awesome how interesting it truly is for me to go to you extremely commonly. This is very interesting, You are a very skilled blogger. Ive joined your rss feed and look forward to seeking more of your great post. Also, I have shared your website in my social networks! This is very attention-grabbing, You are an excessively skilled blogger. Ive joined your feed and look forward to in quest of more of your fantastic post. Also, I have shared your site in my social networks!